Seamlessly integrated into SmartAddresser 5, MailSpotter lets you track the progress of your mailings as they pass through the postal system, making use of the Intelligent Mail barcode. - Generate and track unique QR Codes on your mailpieces and get real-time alerts every time someone scans one of your codes! Once your MailSpotter module is activated, simply process your files as normal through SmartAddresser 5. 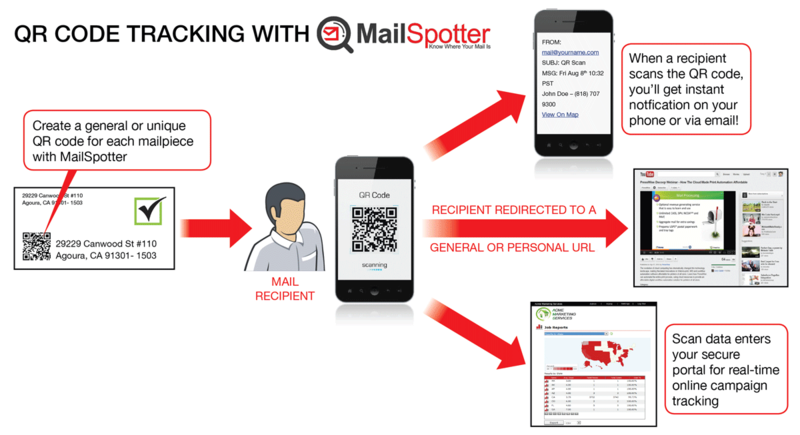 Once you drop the mail at the BMEU and the first piece is scanned, MailSpotter starts tracking - results are available at any time and updated hourly, with QR Codes in real-time as they are scanned. 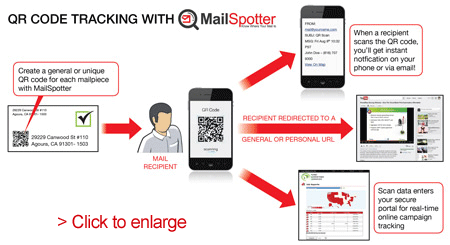 Plus, with flexible pricing based on the amount of mail you want to track, MailSpotter is affordable for mailers of all sizes. 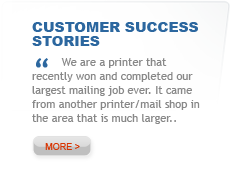 We also offer an unlimited option for higher volume mailers. 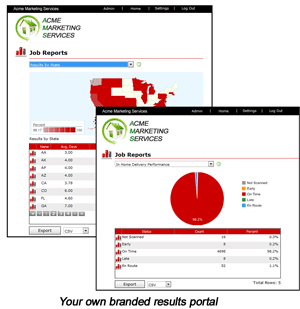 Click here for more details on MailSpotter, including product features and screenshots. 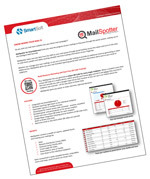 You can also download a 2-page brochure for MailSpotter for SmartAddresser 5 by clicking here, or on the brochure opposite.